Here’s a startling statistic: at some time in their lives half of the U.S. population will suffer from anxiety, depression, or addiction!! And this problem is not only a U.S. problem, it’s world wide! Did you know that worry is at the very core of each of these serious problems? Worry is the common denominator. There is a growing body of evidence that shows how the brain works and how we can rewire unproductive habits and replace them with new circuits we program ourselves. Why Worry? highlights some of the latest findings in this new field, called neuroplasticity, and shows how you can use this exciting scientific information to help yourself. You may feel that you are a “born” worrier and have limited options. Why Worry? also describes new scientific finds that are revolutionizing the way we think about our genes and inheritance. This evolving field, known as epigenetics, shows that our genes are merely blueprints. They also are influenced by our beliefs and environment. What might all this mean for worriers? We are not stuck with an inherited tendency to worry or suffer self-defeating behaviors. Indeed, how we choose to think can influence our anatomy and our internal wiring. We can rewire circuits blown by worry and negative traits by changing our inner biochemistry. The ability to change our thoughts and inner biochemistry has powerful ramifications for restructuring and improving our lives. But we are so much more than our brains and bodies. 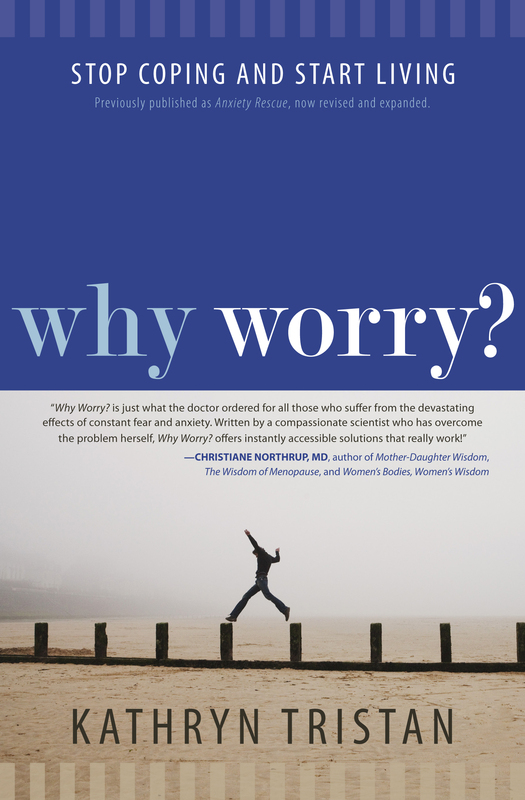 Again, new scientific findings described in Why Worry? are shedding new light on how we are connected to each other and how embracing our intuitive side can ramp up finding solutions. Albert Einstein said: The intuitive mind is a sacred gift and the rational mind is a faithful servant. We have created a society that honors the servant and has forgotten the gift. Thus, now more than ever, many are seeking help using more holistic approaches that blend concepts of mind-body-spirit. Such interventions encompass all levels to help: body, mind, feelings, relationships, self-esteem, and spirituality. 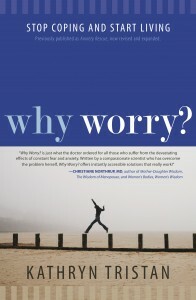 The insights and unique blend of concepts in Why Worry? quickly cut through hype and show how mastering four basic principles, called CORE Concepts, provides the mental tools to build an internal powerhouse overcoming chronic worry. Most chapters provide a relevant and inspiring quote and then quickly launch into practical insights and simple strategies to overcome fear and anxiety. Most people don’t remember bulleted lists of points, so Why Worry? provides lots of anecdotes and true stories that help explain each concept. You will love the down-to-earth and friendly tone of this book as well as its practical layout. Because worry can rattle our brains, summaries of important points conclude each chapter. Following this, you will find another exciting and novel aspect of this book, the “New Strategies” section. Overcoming worry involves taking small steps into change. This section helps you find practical ways of translating the ideas of the chapter to empower your journey from worry to power.